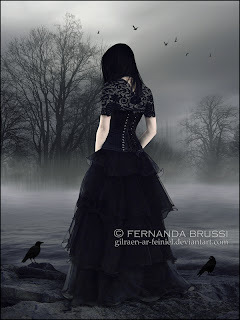 If you read YA books, then you’re probably very familiar with Fernanda Brussi’s artwork. She is the genius behind some of some of the most hailed covers in YA, with her work often appearing multiple times on Most Beautiful Covers lists. 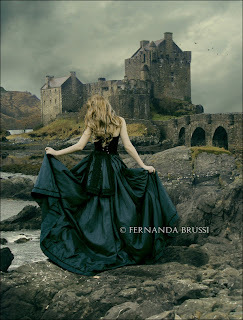 Her work showcases two of my most favorite things on covers: Flowing hair and beautiful dresses. Do you recognize any others? How do you feel about an artist whose work is so distinctive being used for books by different authors? I love it when series covers match, but it throws me a little to see the UK cover of Haunting Violet because I always first think of Fallen. It seems like the books go together, but they aren’t actually connected at all. Does this happen to you? Do you like it? Dislike it? all of these are just wonderful! am a huge fan of the fallen series covers! very very nice! such a talented artist! I really like all these covers except for Passion. Can't put my finger on it but something bothers me about it. 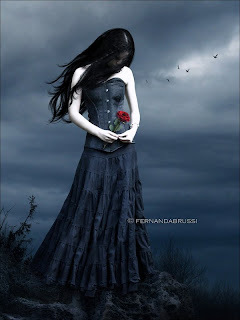 I agree the Haunting Violet does remind me of the Fallen covers but it is beautiful. Is it wrong I wanna read Hounting Violet now just because I think the cover is gorgeous? Fernanda's work is absolutely gorgeous and these are the covers I love best in the YA world. I too am a big fan of the long hair and beautiful dresses. Sometimes though I wonder why the cover people deviate from the original artwork so much. 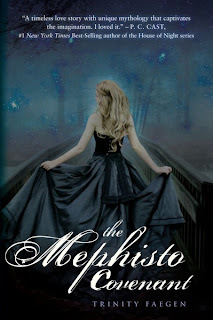 For instance, The Mephisto Covenant - the setting and dress colour in the original photo are fabulous and I'm totally in love with it, but not so much the book cover as it's been changed. The pictures are slightly different as she's holding the dress differently and her head is in a different position, but still, that background and the dress in green are just amazing! Her work is stunning! The Fallen books have the most beautiful covers, though I have to say I like the version of Passion where the clouds are gray instead of that weird orange. I do think the cover for Haunting Violet is a bit too similar to Fallen, but it's still beautiful. Thank so much for sharing! I love all of the covers apart from the cover for Passion - it doesn't really live up to the rest of them. When I first posted the UK cover of Haunting Violet on my blog, lots of people commented on the similarity to the Fallen covers - didn't realise until it was mentioned in comments that the covers were by the same artist! These are so beautiful. The cover of Torment almost made me pick it up - it just reflects the emotion so well. And I even don't hate Passion when I look the original picture. Is it weird that I wish just one of those girls was showing her face? She's amazing...and also loves pretty dresses, haha. Oh YES! This illustrator is MY FAVORITE. You gave me a link to her galley before. I just love her work. I'm with Slowest Bookworm though, on quite a few, I prefer the original to the cover: most noted in The Mephisto Covenant and Passion. 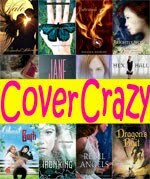 What a fantastic cover crazy post this week for you! Totally enjoyed this! I really love her pictures! They make beautiful covers! You know, it's funny, but those are all covers I've liked, but I never put it together that they were done by the same artist. Yet, when you show them side by side, it becomes obvious. I think I like the picture of for the Mephisto Covenant the best, but they did themselves a disservice by eliminating the castle background. So basically what you're saying is that all the covers I absolutely ADORE were made by the same person? WOW!!! I'm officially Fermenda's new fan! 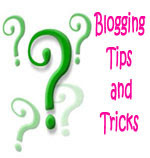 What a great idea for a post, thanks for sharing! How cool. I didn't know Fernanda did all the covers. How do you find out who the cover artist is? Love love lover Fernanda's work! She really knows how to get a girl jealous of a dress. Okay, I think the UK version of Unearthly is much better than our cover. 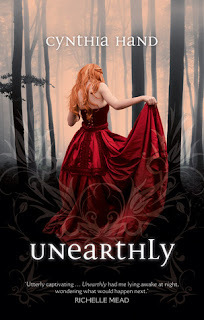 Here I go I'm saying it...I hate the cover of Unearthly. Maybe that's why it's still sitting there in the TBR pile since it was released. Maybe if I paint the dress red I'll read it. But I do love this artist's work. And I agree about the Mephisto Covenant- that castle is gorgeous and mysterious and gives us an idea of what the book is about why take it out? Really, some of these covers are worth framing for my book shrine! Wish I could get an original of that Mephisto Covenant. Anyone know this artist after our own hearts? Interesting post, l think all the covers are pretty BUT l do prefer covers which can stand out on their own and have their own unique feeling. She's definitely got a signature style in terms of her art, but it makes for gorgeous covers that's for sure! I too thought Unearthly was connected to Fallen when I first picked it up (we have that cover here in Australia), and it really confused me! 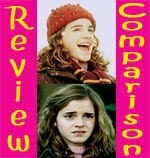 I think the styles are too similar - it's great for within one series, but not good for a book by a totally different author. Awesome post! Wow. I had NO idea that all those covers were by the same artist. But I definitely see it now. I heard someone say that the cover art is from an artist from DeviantArt but I didn't know who. Thanks for sharing! Melissa, I love your description. 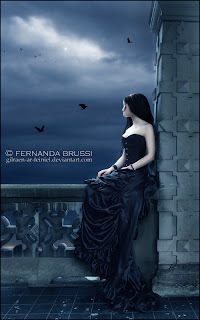 Spot on (romantic, gothic). I agree about Passion, too. It just doesn’t do it for me like the others. 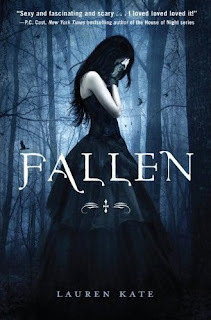 Yas, I think the Fallen series covers are my favorite, too. Well, at least for Fallen and Torment. Nic, Something bothers me about Passion too. I’m not sure why either. Something about her head/neck/spindly arms area. It just looks weird and a little distorted. The Slowest Bookworm, I think the Mephisto Covenant, Unearthly, and the picture I showed all come from a series of photos. At least, that’s what I assumed because of the slight differences in angle and the way she holds the dress. I wish I could find the rest of the photos. 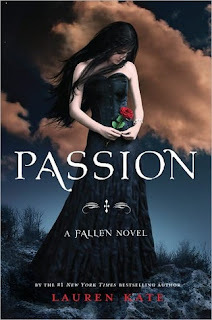 Jenny, I agree, I don’t like the orange clouds in the book cover version of Passion. It looked so much better in her original. Alex, Isn’t the original of Passion so much nicer? I don’t know why they changed it. 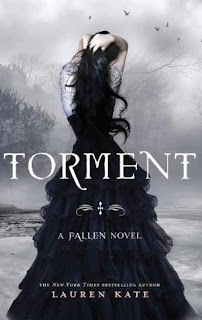 Torment makes me want to read it too, even though I don’t think I’d really like the series all that much. But that cover is so pretty and emotional! Logan, Haha, no, I wish it too. I kind of like it because then I can imagine them how I want them to look, but it’s also a little frustrating. Especially seeing them all together like this. A Backwards Story, You’re welcome! She must have the coolest costume collection. Gina, I agree, I like a lot of the originals better. I actually do like The Mephisto Covenant, but I don’t really like the changes made with the color for Unearthly and Passion. Glad you enjoyed it! I have a few cover artist posts lined up. Rubita, I love the castle in the background of the original Mephisto Covenant. I wonder if it would have worked with the story though. I can’t wait to find out! This cover is not at all what I had pictured based on the blurb I read a while back. Alison, I don’t remember…I might have looked on the jacket of one of the books. I like to look up the cover artists on covers I like so I can find more of their work. Vy, Oh yes she does! What I wouldn’t do to spend a day playing dress up with her costumes! Heather, Aw, I love the US cover of Unearthly. Well, I should say I love the picture, but I hate how oddly reflective it is. I also like the Unearthly cover a lot because that’s how I picture Clara looking. I don’t know if there is a castle in the Mephisto Covenant. Maybe there isn’t and that’s why they took it out? I would love to frame these pictures too. So pretty! Books for Company, That’s the only drawback of these covers for me. They look so similar that it sort of removes that specialness I like covers to have. I want them to really connect to the story and stand out from other books. Laura, She does have a very recognizable style. Ever since I discovered her Deviant Art profile it’s been super easy spotting her work on new covers. Belle, I agree. I love seeing the beautiful covers, but it can get confusing. I also transfer my associations from one book onto the other books, which isn’t really fair. 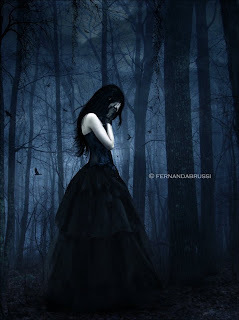 Just because Haunting Violet’s cover reminds me of Fallen, that doesn’t mean the story will. Cialina, You’re welcome! It took me a while to put it together, but now it seems really obvious. I thought the UK cover for Haunting Violet was eerily similar to the Fallen cover- now I know why! It's great to have so many beauitful and atmospheric covers around but I would rather that they were more unique and distinctive in their own right. 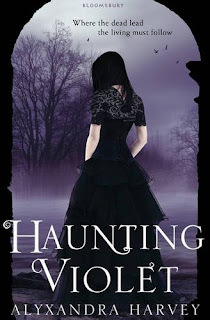 Ah-freaking-mazing artwork for the covers, though I have to agree that the cover for Haunting Violet looks like it belongs to the Fallen series. The rest kind of stand out on their own even though the concept is the same. The girls and the dresses are so beautiful, and I wish the faces weren't always hidden. Stephanie, I agree. I’m torn between loving the pretty covers and wishing there was more originality across different books. Missie, You're right, the rest of the pictures look more distinct, but that Haunting Violet cover is just sooo similar. Though now The Mephisto Covenant and Unearthly look pretty similar too. I wish their faces weren't covered too, but at the same time it's kind of nice. I can picture the MC how I want to then. 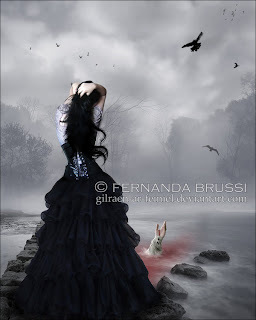 I love this artist's work but I agree with seeing an image on a different author's book does throw me cause I saw them in Fallen and Torment first but then every time I see Always a Witch I think of Fallen. I hadn't seen Haunting Violet's UK cover before but I had seen it in the artist's gallery. The Mephisto Covenant and Unearthly also seem to be from the same photoshoot but at least the cover team made changes and made Unearhtly look more different and gorgeous. 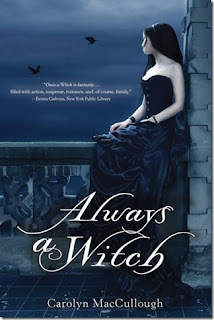 Sandy, I think of Fallen whenever I see Always a Witch too! Especially since Always a Witch doesn't match Once a Witch. I agree about The Mephisto Covenant and Unearthly. I think they are from the same shoot, but the color changes make them look distinct enough that I don't mix them up as much as the others.